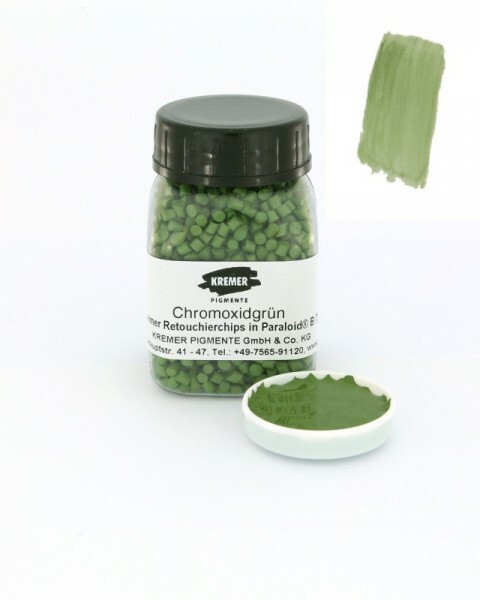 Kremer Color Chips - Chrome Oxide Green | Kremer Retouching Chips in Paraloid B 72 | Ready-made Colors | Kremer Pigments Inc. The Color Chips can be dissolved with all solvents in which Paraloid B 72 is soluble. We recommend Methoxy Propanol PM, 70920. 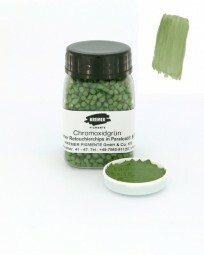 Customer evaluation for "Kremer Color Chips - Chrome Oxide Green"